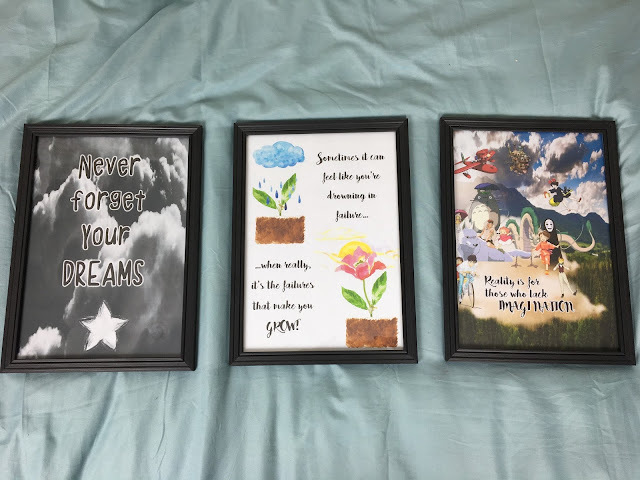 Recently I decided to spice up my bedroom by adding a few pieces of home-made wall art to freshen it up and give it that tumblr-esque style. 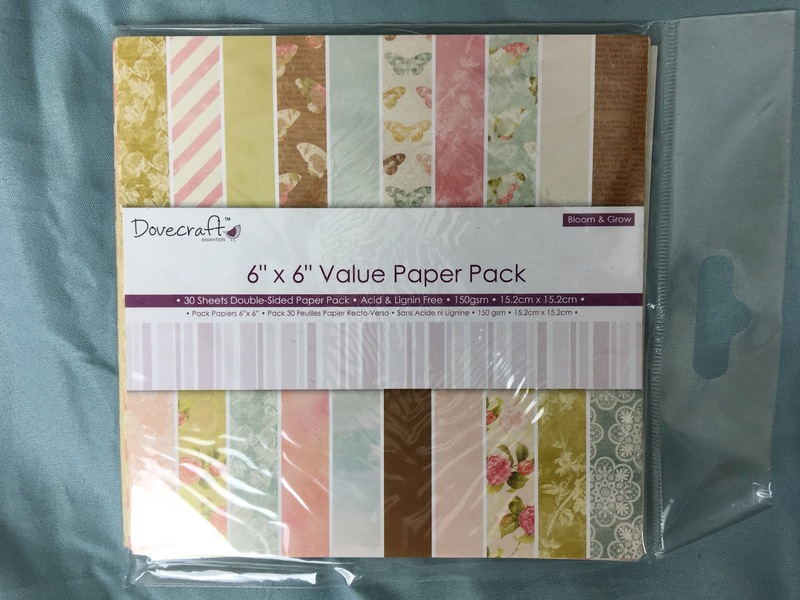 I have seen so many pictures on websites such as etsy, red bubble, eBay etc. 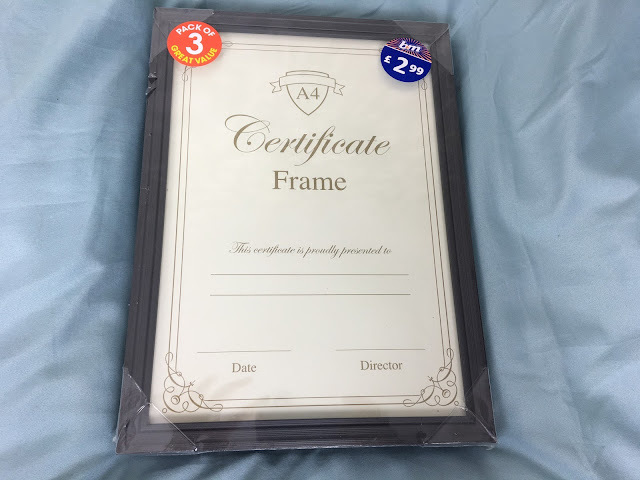 that are being sold for £15-20 or $20-29 (for my american readers) and I was completely shocked to learn that they are extremely popular and that people are spending this large amount of money for something they could easily make themselves at home. 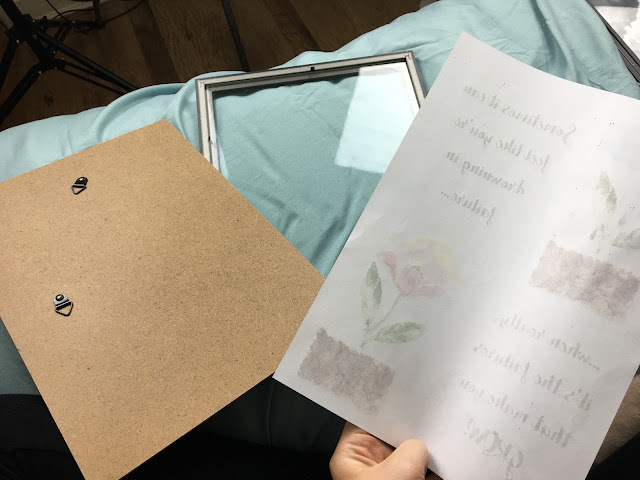 I am going to show you how you can make your very own wall art for free/very cheap. 1. Start off with the BEST part and this includes creating the art that's going to be hanging on your wall. This is where your inner creativity can shine. Make something YOU want to see on your wall, this could be an inspirational quote, a picture of your family, or some of your favourite things. You could even write down your goals for the year in a decorative way so that you can be reminded of what you want to achieve. -Open up 'Microsoft Word' on your computer and copy/ paste images from Google to create your perfect picture and then add some inspirational words, I went wild with my imagination and blended lots of pictures together to create some of my art, using the website 'DaFont' to download a pretty/cool font to use. 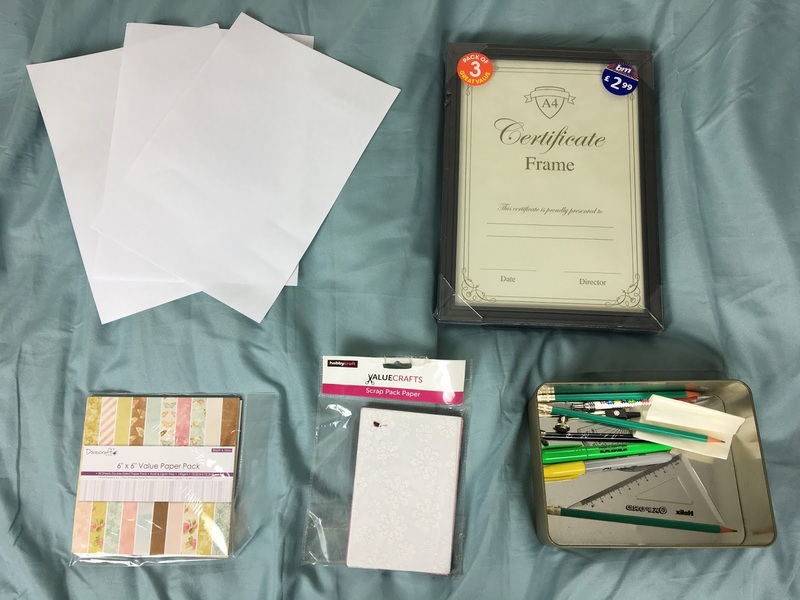 -Alternatively if you don't have a computer or don't want to use one then you can always get creative with coloured pencils/pens or stickers and paint, literally ANYTHING you want. Make sure to make it something you really like or something you're passionate about, because when it's hung up, it is going to be a constant reminder to help inspire you. 2. 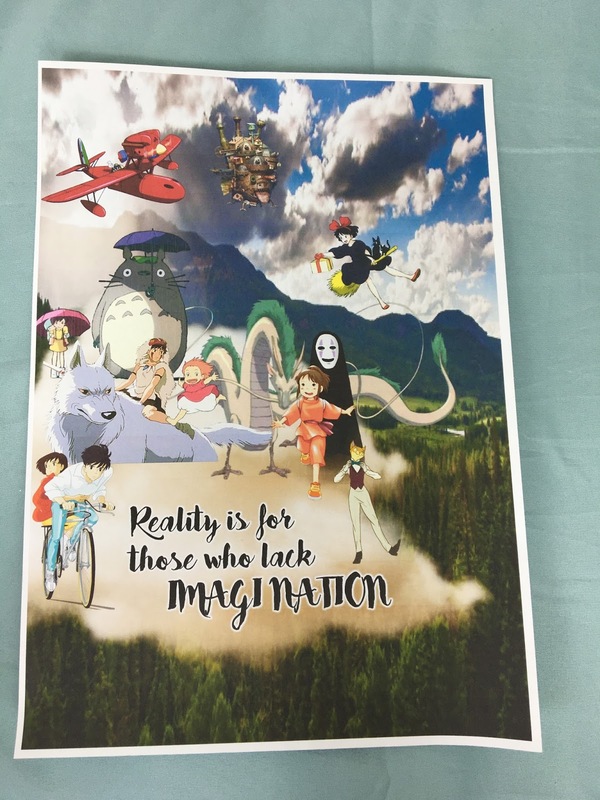 If you have used a computer then this next step is to print out your art work. If you have used paint then let it all dry until your art work is completely ready. 3. 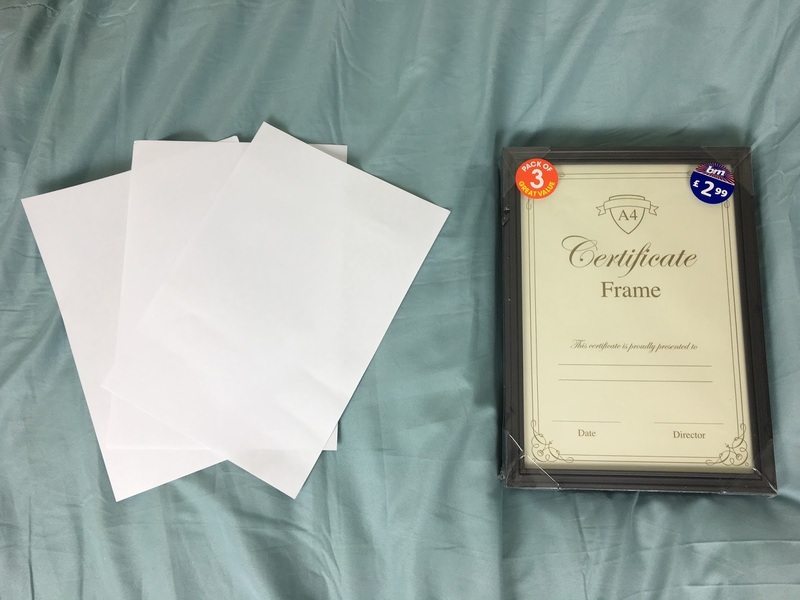 Open your A4 frame/s and slot your piece/s of art in, make sure it looks okay from the front. If it doesn't then adjust it or just try again. And there you have it! 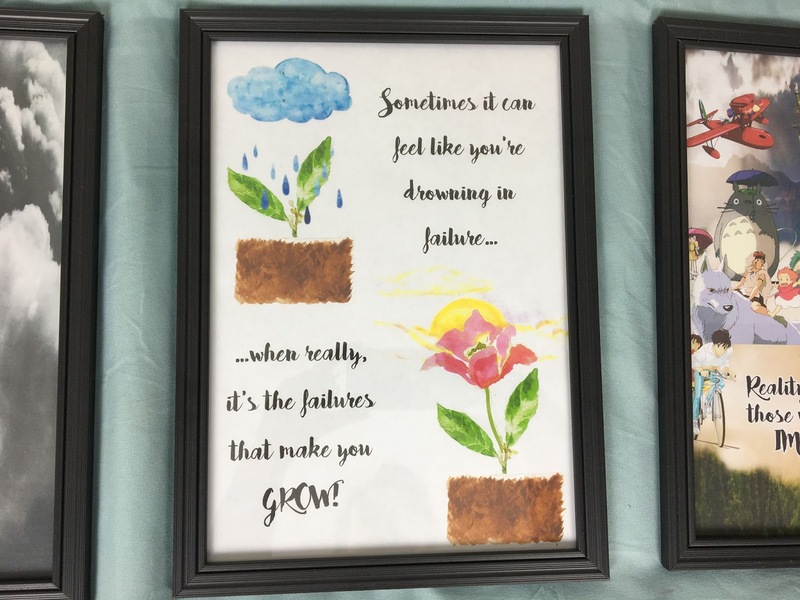 Some wonderful, inspirational pieces of art that will have your room looking more beautiful than ever. 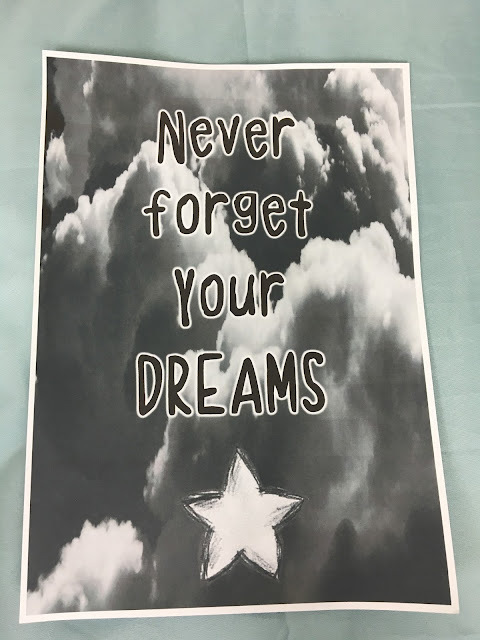 This picture if just a nice reminder to never forget your dreams. I'm a MASSIVE believer/ supporter in people really wanting to achieve their dreams, so this is extremely relevant for me. These next two pictures are VERY important to me and mean a LOT to me. This last piece of art means an awful lot to me also because although there are MANY similar quotes out there, I made this one up myself. I made sure the quote matched the images I used. I created this image by designing in my head what I wanted it to look like and finding a few separate pictures and blending them together. 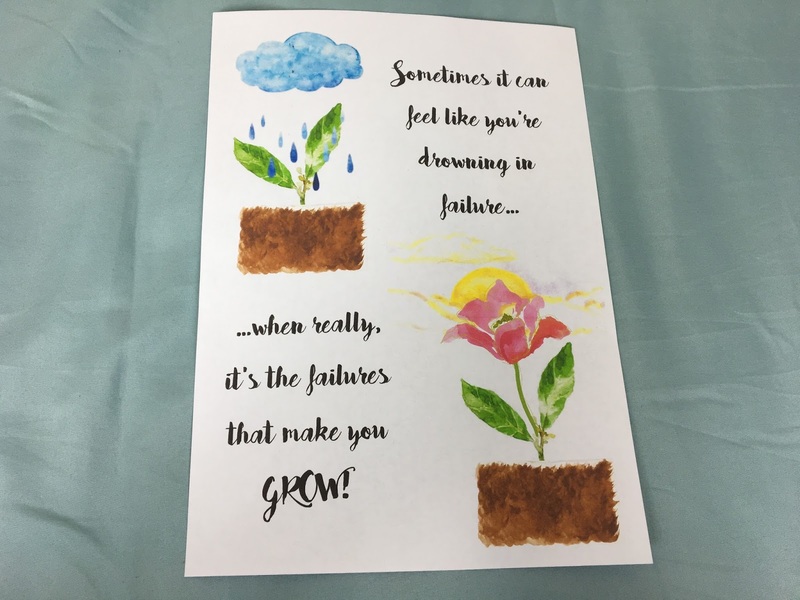 The quote I created was 'Sometimes it can feel like you're drowning in failure…' (this part of the quote is accompanied by a picture of a small stem starting to grow out of the ground with a dark rain cloud pouring water on it) I then continued the quote with '…when really, it's the failures that make you GROW!' 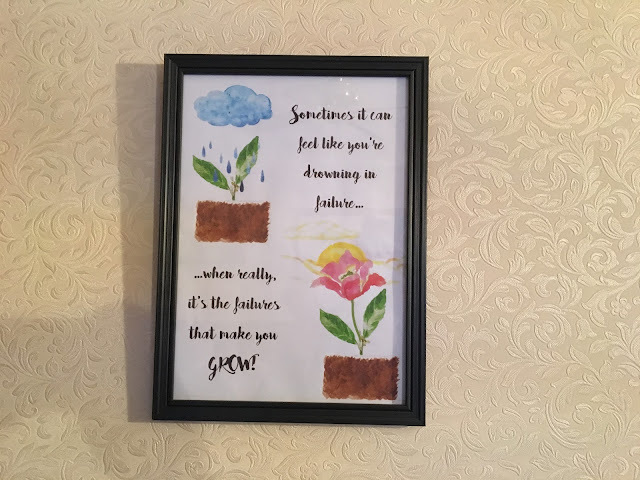 (I then added the same stem but with a beautiful flower growing out of it and a sunshine background to replace the rain) This quote means a lot to me because no matter how many times I fail (and I've failed countless times, seriously), it reminds me that these failures will help me GROW into the person I so want to be. 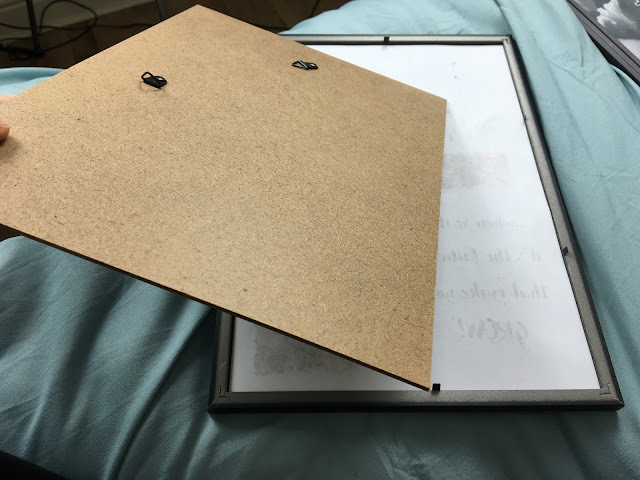 I hope you all enjoyed this D.I.Y! 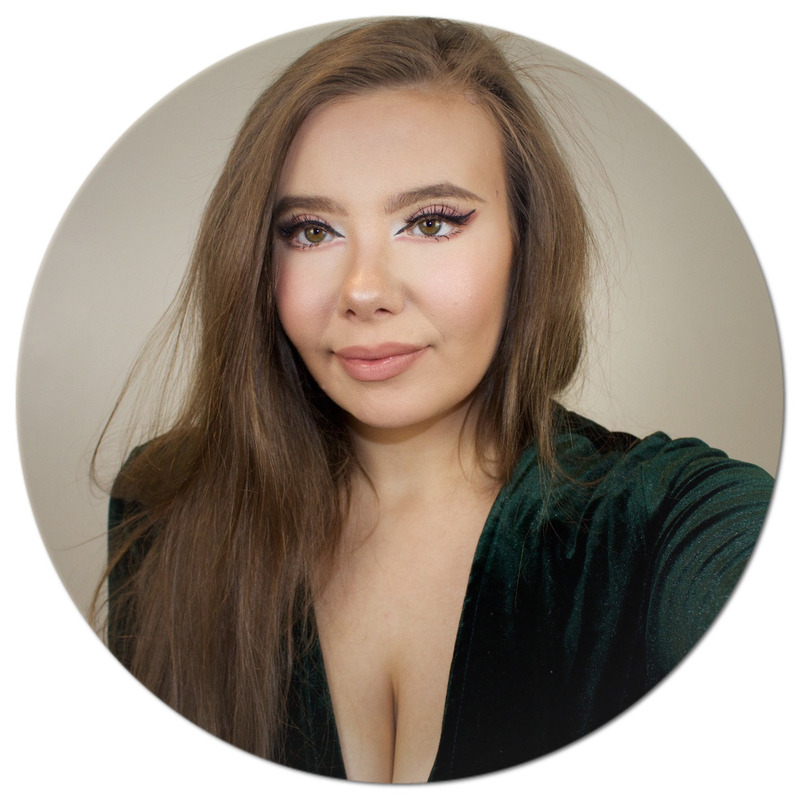 If you decide to make one, please be sure to tweet me at @thinkmeg on twitter, that way I can favourite it and know that I've helped you!